Facebook has been getting deeply involved in e-commerce, especially with the launch of Marketplace, its new user-to-user exchange for buying and selling goods with others in your area. Since moving to Ramsgate I’ve been using Facebook or FaceBay as I’ve nicknamed it, to buy and sell goods as Emily quickly grows. In the 3 months of her short life I’ve bought 6 items (big and small) and sold a fair few too. Facebook is no eBay this must be noted. You will find way too many people will have the cheek to ask for something worth selling for £30 to sell it to them for £2, just because. And I, amongst thousands of others in Ramsgate, join the 450 million people who use Facebook to sell and buy their items big and small with their community. Facebook doesn’t have the same rights as eBay and doesn’t have half the protection. Unlike eBay you can’t buy or sell anything dangerous (not that you’d want to), you can’t buy or sell alcohol and anything else that’s illicit. With eBay you can send items or receive them via post, with Facebook it’s more trusting people coming to your house as rarely there been a time that people want to meet in cafe’s anymore, especially if you have small children, the weather is awful and live close to the sea. There’s a certain amount of trust that goes with buying and selling on Facebook. You can’t always guarantee what you’re buying is real either which makes that trust in people all the more real, but thankfully, most of the people I’ve encountered are happy for you to view an item before you part with your cash. Saying that, Facebook has opened up a world of opportunity for myself as a new mum. I, alongside Sam use eBay, not as much as Sam does, mind you, he is addicted, not that he’d admit it. Facebook has allowed me to buy a few items in the baby community that I otherwise wouldn’t spend so much money on in fear Emily wouldn’t use or take to. 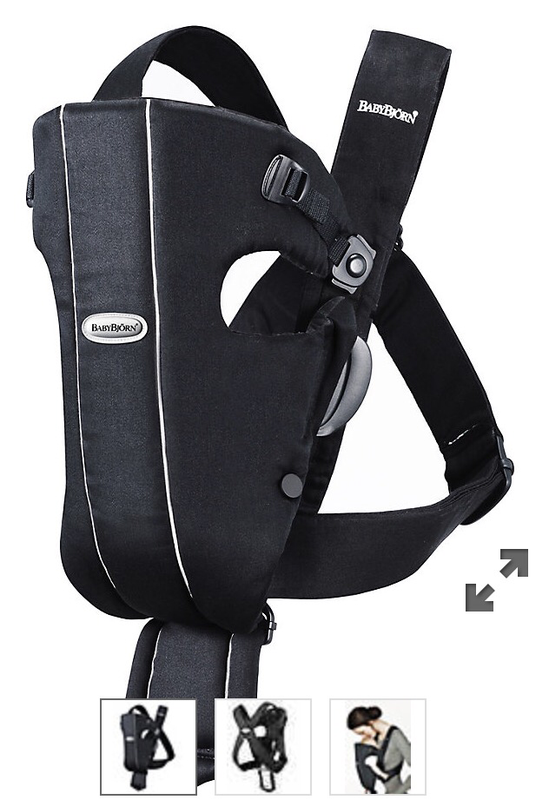 There are a lot of offers for baby feeding bottles, formula and nappies that I wouldn’t buy online, I’d rather buy myself from a supermarket or Boots, but I have bought a baby carrier for a lot less than I would have paid, if bought in-store and I’ve only actually used it 3 times! I’ve joined some great groups in Thanet that not only sell an array of different items from Jumperoo’s to sofa’s and cars, but give great advice on the best baby groups in my community too. For £5 I really couldn’t have got a better deal. The woman I bought it from in Cliftonville said she only used it a few times before her child decided very much against it and who was I to complain paying only a fiver. For me I needed this for 2 reasons, for Emily who refused to be anywhere else apart from strapped to my chest and because of my back. Since I bought this back in December, I’ve used it only 3-4 times. Emily has now figured out it’s purpose (or near enough!) and refuses to go in it, kicking up the mother of all fusses when she’s strapped into it. I’m looking forward to the day I can put her in it front facing, she may enjoy it better, she is a bit of a people watcher. I bought this when I was 6 months pregnant! Mad, I know but you can’t turn down a bargain when you see one. The picture above isn’t the exact same colour as the one I bought, but the lovely lady I bought from said she bought it, and her daughter refused to go in it, therefore it sat in her kitchen waiting for someone to rehouse it. Currently with Emily being so little, she can’t sit it in yet without slouching and I have to use the pram as the chair to wheel her around in whilst I’m baking or cooking to keep an eye on her, but in some months to come, she’ll be sitting in this eating her food, making a mess and playing with her toys. There are so many different items you can buy and sell on Facebook. Now with Emily growing quickly, it’s good to know if I want to get rid of some clothes I can shift it pretty quickly on Facebook, but I will still use eBay as there are way too many people on Facebook who take the mick with their bartering. Facebook will never be eBay and who knows how long this type of second-hand selling may last. Facebook made a similar bid for this type of market back in 2007 with little success but since Marketplace launched last year it seems to have opened doors for buyers and sellers. Now with Marketplace in full gear, you can expand your market. You can search Marketplace and filter results by category, price or location or you can browse what’s available in a specific category, say household or electronics. When you find something you like, tap on the image to see more details from the seller, including a product description, the name and profile photo of the seller and that person’s general location. You can also save the item to find it later. If you’re ready to buy, you can send the seller a direct message from Marketplace and make an offer. From there, it’s up to you and the seller to work out the details. That’s where trust comes in. Unlike eBay where you need to have the secure PayPal attached to your account, most Facebook users will either come to your house or a public place with cash or expect you to put money in your account handing over their bank details easily. Personally I don’t feel comfortable handing over my details to a random person, therefore most of the time Marketplace doesn’t offer much locally but if Facebook ups its security on a few things and puts in a secure money paying service, peer-to-peer selling on Facebook could definitely take on the eBay. We’ll see what the future holds for Facebook and their Marketplace. Have you had a personal experience different to my own? I’d love to hear from you.